Oneplus has today released an update for the One CM 11S 05Q which addresses several known issues as well as adds new features like Swiftkey & MaxxAudio by Wave. The complete list of changes can be viewed on the official Forum Page here. This guide is being written keeping in mind the OnePlus users from India where, CyanogenMOD updates will no longer be released due to the exclusive rights distribution issue between OnePlus & Micromax. 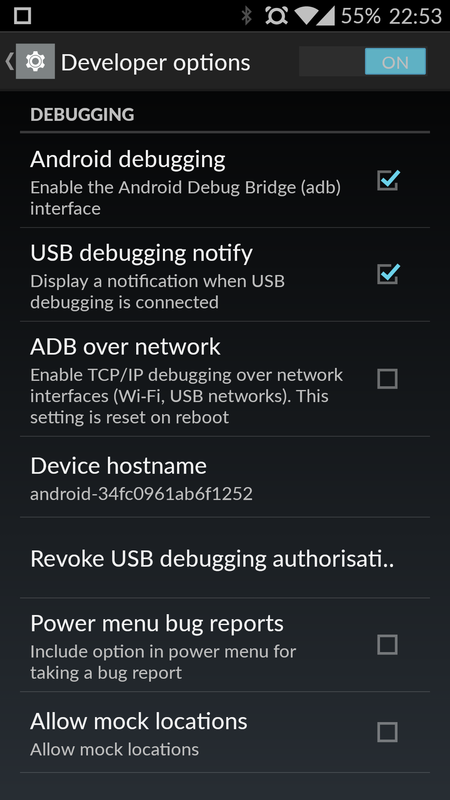 All those wishing to manually install the ROM can follow this tutorial. 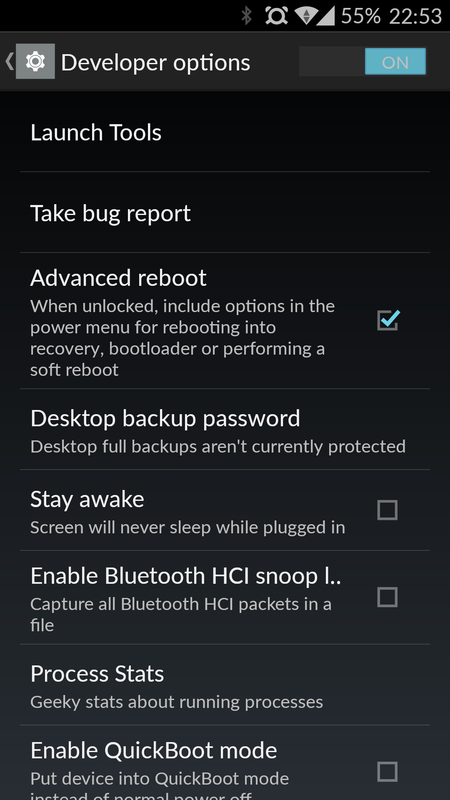 The best part here is that it neither requires Unlocked Bootloader nor a Root Access. Disclaimer: Although this is a fool proof method of updating which doesn’t involve any unlocking of bootloader or rooting of the device, we do not take any responsibility in case of any issue. Please proceed with the steps below at your own risk. Download the ROM zip file from the url mentioned above. 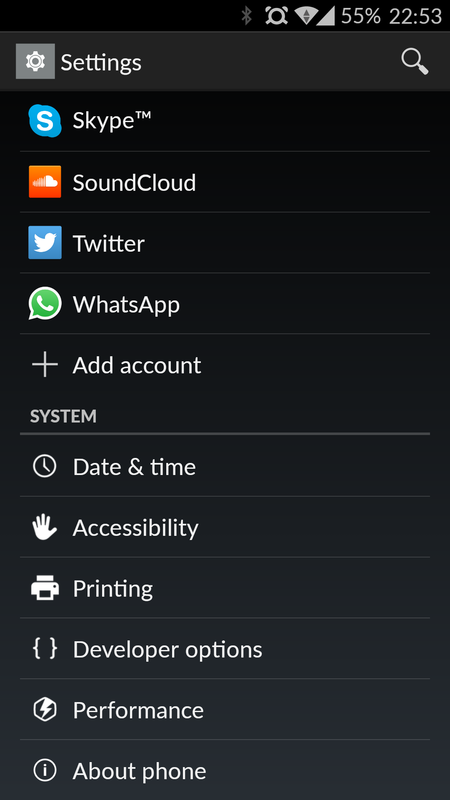 Next, we need to access the Developer Options on the device. Those who have it already enabled can skip to step 4 others follow on. Tap on the “Build Number” text multiple times until a pop notifies that Developer Options have been enabled. Press and hold the Power Button to access the Power Menu. The phone will now boot into the Recovery Mode. Do not try to touch the screen until the update is installed and you are taken back to the default Recovery Mode screen. Voila! 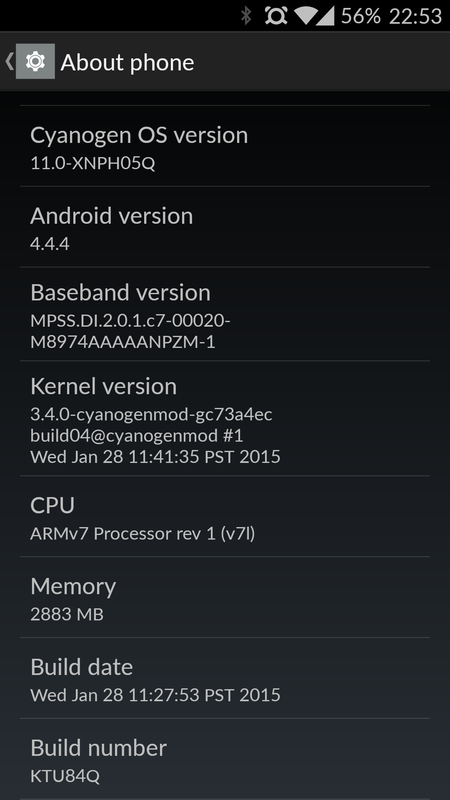 Your OPO is now updated to CM11S05Q!! 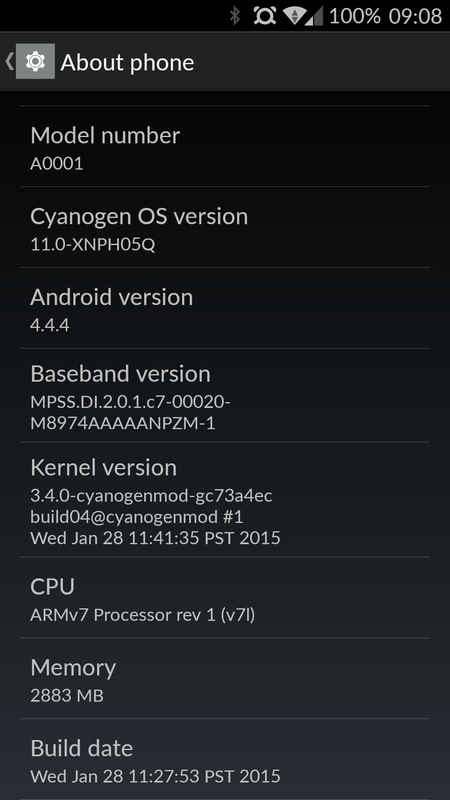 This entry was posted in Android and tagged A0001, Android 4.4.4, CM 11S 05Q, CM11S05Q, Cyanogenmod, India, Manual Installation, One, OnePlus, OPO, OTA, Sideload, Update, Without Root. Bookmark the permalink.